The beautiful engravings in George Perry&apos;s Conchology are unique. 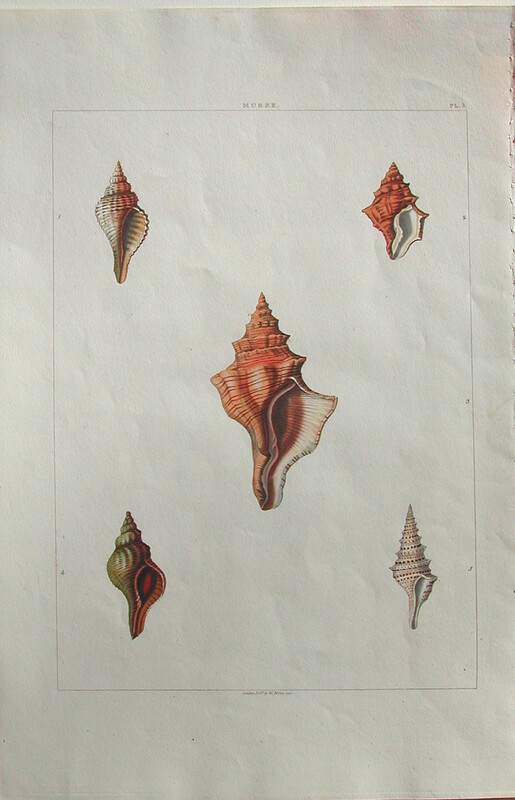 They are the only series of antique shell prints to have been produced using the expensive technique of hand colored aquatinting. The results are images which may not always be scientifically correct, but which arewonderfully decorative. 17 x 11 inches, sheet. Hand colored aquatinted copperplate engravings.